(AP) WASHINGTON - For nearly 15 years, Republican presidential candidate Mitt Romney's financial portfolio has included an offshore company that remained invisible to voters as his political star rose. Based in Bermuda, Sankaty High Yield Asset Investors Ltd. was not listed on any of Romney's state or federal financial reports. The company is among several Romney holdings that have not been fully disclosed, including one that recently posted a $1.9 million earning suggesting he could be wealthier than the nearly $250 million estimated by his campaign. The omissions were permitted by state and federal authorities overseeing Romney's ethics filings, and he has never been cited for failing to disclose information about his money. But Romney's limited disclosures deprive the public of an accurate depiction of his wealth and a clear understanding of how his assets are handled and taxed, according to experts in private equity, tax and campaign finance law. Sankaty was transferred to a trust owned by Romney's wife, Ann, one day before he was sworn in as Massachusetts governor in 2003, according to Bermuda records obtained by The Associated Press. The Romneys' ownership of the offshore firm did not appear on any state or federal financial reports during Romney's two presidential campaigns. Only the Romneys' 2010 tax records, released under political pressure earlier this year, confirmed their continuing control of the company. The mystery surrounding Sankaty reinforces Romney's history of keeping a tight rein on his public dealings, already documented by his use of private email and computer purges as Massachusetts governor and his refusal to disclose his top fundraisers. 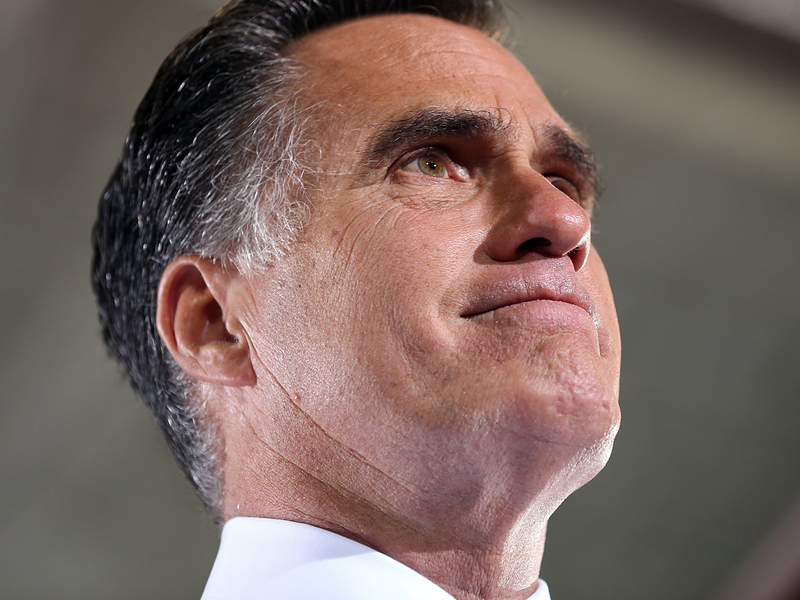 The Bermuda company had almost no assets, according to Romney's 2010 tax returns. But such partnership stakes could still provide significant income for years to come, said tax experts, who added that the lack of disclosure makes it impossible to know for certain. "We don't know the big picture," said Victor Fleischer, a University of Colorado law professor and private equity expert who urged corporate tax code reforms during congressional testimony last year. "Most of these disclosure rules are designed for people who have passive ownership of stocks and bonds. But in this case, he continues to own management interests that fluctuate greatly in value long after his time with the company and even the end of his separation agreement. And the public has no clear idea where the money is coming from or when it will end." Named for a historic Massachusetts coastal lighthouse, Sankaty was part of a cluster of similarly named hedge funds run by Bain Capital, the private equity firm Romney founded and led until 1999. The offshore company was used in Bain's $1 billion takeover of Domino's Pizza and other multimillion-dollar investment deals more than a decade ago. Romney's campaign declined to answer detailed questions from AP about Sankaty. Romney aides have said in the past that some disclosures were not required because those assets were valued by his financial advisers at less than $1,000 below the minimum threshold under federal rules set by the U.S. Office of Government Ethics. A financial snapshot of Sankaty in Romney's 2010 tax returns showed the holding with almost no value at the time with $10,000 in both assets and liabilities. "Everything on the filings is reported as required," campaign spokeswoman Andrea Saul said in a brief statement. "If OGE has an issue with any filings, they would let us know." The agency declined to comment. While Sankaty no longer plays an active role in Bain's current deals, private equity experts said such holdings could provide significant income to Romney under his 10-year separation agreement from Bain, which expired in 2009. Investment funds typically churn "carried interest," profit shares due to the managers of the funds that often range as much as 20 percent of a fund's annual profit known as "the carry." Even after investment funds are exhausted, profit shares and other late earnings from those stakes can continue to stream, arriving as lucrative "tails," tax experts say. In some circumstances, the analysts added, offshore companies like Sankaty could also offer limited tax deferral advantages. The implications of Romney's Bain profit-sharing became clear last month when his trust reported that one rarely disclosed asset had posted a $1.9 million payout. The income was described as a "true-up" payment, catch-up income that made up for unpaid earnings owed to Romney as part of his Bain separation agreement. Such sizable earnings are possible "depending on the terms of the agreement," said tax law expert Michael Kosnitzky, an attorney at the New York firm of Boies, Schiller & Flexner. The Romney campaign acknowledged recently that it could not rule out more large future payments. The use of offshore companies such as Sankaty is allowed under U.S. tax laws. They are typically set up as shell corporations by private equity and hedge funds to route investments from large foreign and institutional investors, such as large pension plans, into corporate takeovers. The money is used to provide equity and buy up debt. In turn, the investors gain U.S. tax advantages by passing their funds through the offshore "blocker" corporations, avoiding a high 35 percent tax on earnings that the Internal Revenue Service describes as "unrelated business income." Set up in Bermuda in 1997, Sankaty served as Romney's partnership stake in Bain's Sankaty group, which invests in bonds, bank loans and corporate debt instruments. That first wave of Sankaty funds managed more than $100 million in investments in the late 1990s and early 2000s, according to a corporate analyst familiar with the funds. The analyst insisted on anonymity because the analyst was not authorized to discuss the funds publicly. Since late 2003, Romney has left his financial decisions to what his campaign describes as a "blind trust" overseen by lawyer R. Bradford Malt, a longtime Boston legal associate. The trust was set up under Massachusetts law, but it's not a federally qualified blind trust which Romney plans to use if he wins the presidency. Romney does not oversee his investments under his current trust, but its general composition is made public and Malt invests according to Romney's political positions. Romney's 2010 tax returns show him and his wife as sole owners of Sankaty. A 2011 Bermuda legal document lists Malt as Sankaty's president. Michael F. Goss, currently Bain Capital's chief operating officer, is listed as vice president, and Quorum Corporate Ltd., a Bermuda law firm, as secretary. Malt deferred questions about Sankaty to the Romney campaign; Bain Capital and Quorum declined to comment. The candidate's 2010 tax returns listed at least 20 investment holdings besides Sankaty that had not been previously disclosed on federal reports. At least seven were foreign investments. Bain Capital Inc., the holding that posted the $1.9 million earning, was listed on Romney's state ethics reports in 2001 and 2002, when he ran for governor, but was missing from any annual ethics report until Romney's trust included it last month on his 2012 financial statement. Sankaty is the only offshore holding in the Romneys' portfolio under their full control. On his 2010 taxes, Romney's blind trust filed an IRS form identifying Sankaty as a "controlled foreign corporation." That filing is required for any U.S. taxpayer who owns more than 50 percent of a foreign company. Romney's 2010 tax returns indicate that he and his wife control all 12,000 shares. Several U.S. Securities and Exchange documents from the late 1990s and 2000s depicted Romney as Sankaty's owner at the time, but when he ran for Massachusetts governor in 2001 and 2002, Romney did not list the company on annual disclosure forms required by the Massachusetts State Ethics Commission. The ethics commission would not comment on the omissions. Boston College law professor R. Michael Cassidy, who was a member of the commission at the time, said that if Romney "owned this business before he signed his ethics disclosure, then he was obliged to report it." The state's disclosure rules also allow a $1,000 minimum threshold. A six-year statute of limitations covering Romney's ethics reports has since expired. Bermuda legal documents show that on Jan. 1, 2003, the day before Romney was sworn in as governor, his wife's trust acquired 12,000 shares of Sankaty. The transfer was not made public. The month before, Romney had placed his assets in the state-approved trust overseen by Malt. The move legally allowed the trust to describe Romney's holdings in 2003 only as "various investments and securities" without providing details. The trust filed similar disclosures between 2004 and 2007, the last year of Romney's term. Romney's use of Sankaty as his partnership stake in Bain deals is documented in several U.S. Securities and Exchange Commission reports between 1998 and 2000. The company controlled 50,000 shares of Global-Tech Appliances Inc., a Chinese appliance firm that Bain briefly invested in. Sankaty was also used to manage 385,000 shares in the 1999 takeover of Domino's, as well as the $75 million investment into the Stericycle waste disposal firm and a $150 million investment in the US LEC telecommunication firm. Romney was named as sole owner and president of Sankaty in several of those documents. Though no longer active at Bain by then because he had left to head Salt Lake City's Olympic Games bid, Romney remained a participant because of his partnership stake. Even though Sankaty is no longer used for Bain investments, several tax analysts said its legal offshore status still could be used by Romney to defer some taxes on some of the "carried interest" income related to the Bain deals. Romney has said he gets no tax break. He told an audience at a Maine town hall appearance in February that "I have not saved one dollar by having an investment somewhere outside this country." But the lack of disclosure over the years, private equity experts said, makes it impossible to tell. "Without knowing more about an offshore's history and how it was used," Fleischer said, "you're left in the dark." Meanwhile stateside, President Obama's campaign didn't waste any time pouncing. Ben LaBolt, the Obama campaign's national press secretary, said in an e-mail that the report "raises serious questions about whether Mitt Romney established a Bermuda corporation to avoid U.S. taxes and attempted to hide it from the public." He called on Romney to release additional income tax returns to see "whether he created this shell corporation to intentionally avoid paying U.S. taxes." Romney spokeswoman Andrea Saul countered: "President Obama's attacks on Mitt Romney have been proven false time and again. As job growth slows, manufacturing activity stalls, and our economy continues to sputter, President Obama knows he can't make a legitimate argument for another term in office, so instead he is trying to tear down his opponent. This is just the latest example of President Obama and his political machine saying or doing anything to distract from his abysmal record over the last four years." Rebecca Kaplan and Associated Press writer Josh Ball in Hamilton, Bermuda contributed to this report.